CompTIA – E2C is now CompTIA Academy! I sometimes teach at Cuesta College, a California community college in San Luis Obispo. Cuesta recently became a CompTIA Education To Careers (E2C) member. During the process of becoming a member, it was mentioned that E2C was being “rebranded”. Well, it’s official. E2C is now CompTIA Authorized Partner Program. 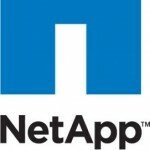 Data ONTAP 8 7-Mode: What is it? Why aren’t you running it? CompTIA offers memberships, and one of the benefits of membership are discounted test vouchers. Membership in Education to Careers (E2C) provides information technology teachers with a supportive community and educational resources for both themselves and their students. E2C members receive special pricing on CompTIA certifications and a free certification voucher for themselves each year. Cal Poly just knocked it down to make room for a new Center for Science and Math. They have web cams, photo galleries and other good information there. The construction site is known as “Area 52” which has a really cute web site with more photos and videos. You can follow area52CalPoly on Twitter to get up to date construction info. Videos at http://www.youtube.com/user/AldenCalPoly. Bonus! Getting Novell CLA automatically awards Novell Data Center Technical Specialist! Turns out that earning Novell CLA, also qualifies you for Novell Data Center Technical Specialist (DCTS)! 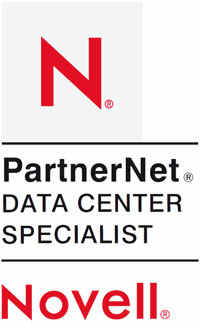 This is one of the specializations for solution providers and system integrators in Novell’s PartnerNet. So by passing the 2 CompTIA Linux+ exams, you qualify for FOUR certifications – Linux+, LPIC-1, Novell CLA, and Novell DCTS. The Linux Professional Institute has a partnership with Novell. Holders of LPIC certifications are eligible to receive the Novell Certified Linux Administrator (CLA) certification at no additional cost or exams. 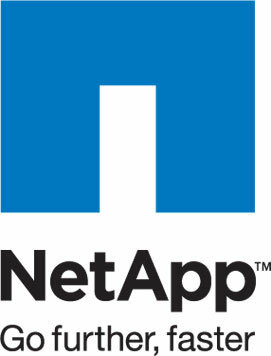 Once you hold LPIC-1, then follow the directions at LPI’s page on their Novell partnership page. Get LPIC-1. 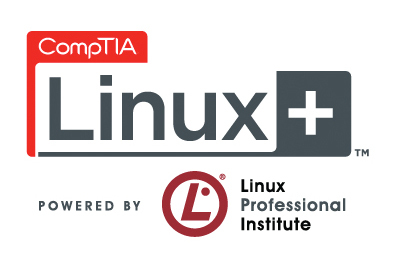 The best way in my opinion is to take the CompTIA Linux+ exams. Got to the Novell CLA registration form. You’ll need your LPI ID and other info from the LPI Candidate Area. Fill out the form. Once you hit submit, you will immediately get a welcome email. It takes a day or two to see the new certification at Novell. That’s it! Pretty easy. So for the “3 in 1” Linux certifications (Linux+, LPIC-1, CLA) do them in this order: Linux+, then LPIC-1, then CLA. Note that Novell also automatically awards you Data Center Technical Specialist (DCTS) when you get CLA, you don’t have to do anything more, it is automatically granted at the same time as CLA. I recently passed CompTIA’s Linux+. 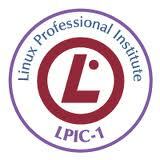 One of the first questions on the examinations is something like “Do you want to forward your scores to LPI?” Might as well say “Yes!”, since passing the 2 Linux+ exams automatically qualifies you for the Linux Professional Institute’s LPIC-1. It’s easy, and almost automatic. Register as a candidate with LPI. This is free. You will get an LPI ID number. 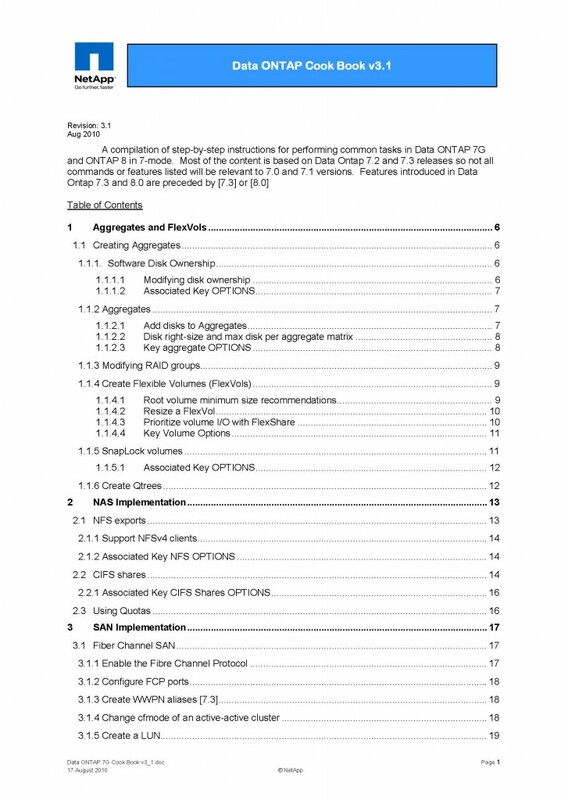 Do this BEFORE you take the CompTIA Linux+ exams. That’s it! It’s easy. LPI is notified quickly- It took 2 days for CompTIA to award Linux+after I passed the exams and LPI sent me notice of LPIC-1 on the same day. 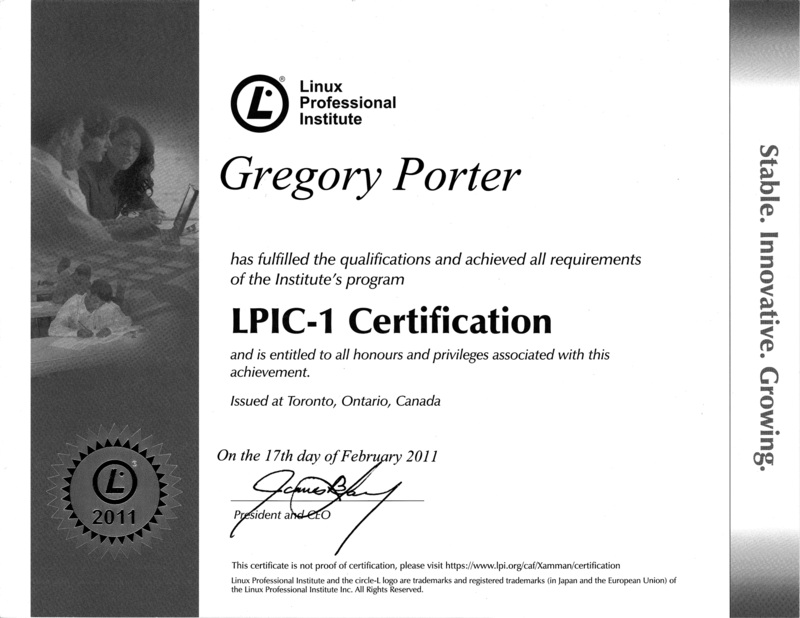 Once you get LPIC-1, tell Novell about it on their website, and you will get Novell Certified Linux Administrator (CLA)!